Jennifer Fernandez has an incredible devotion towards the enjoyment and celebration of life. 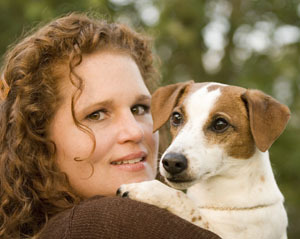 Born and raised in Tampa, Florida, she has always been exposed to her two greatest loves: jewelry and pets. After graduating from the University of Florida, she soon realized her passion remained rooted in what she grew up cherishing most. This resulted in her making one of the biggest commitments in her life, when she started her own company, A Tail of Two. She was able to not only design stunning hand made sterling silver jewelry, but also incorporate her love of pets, both past and present.